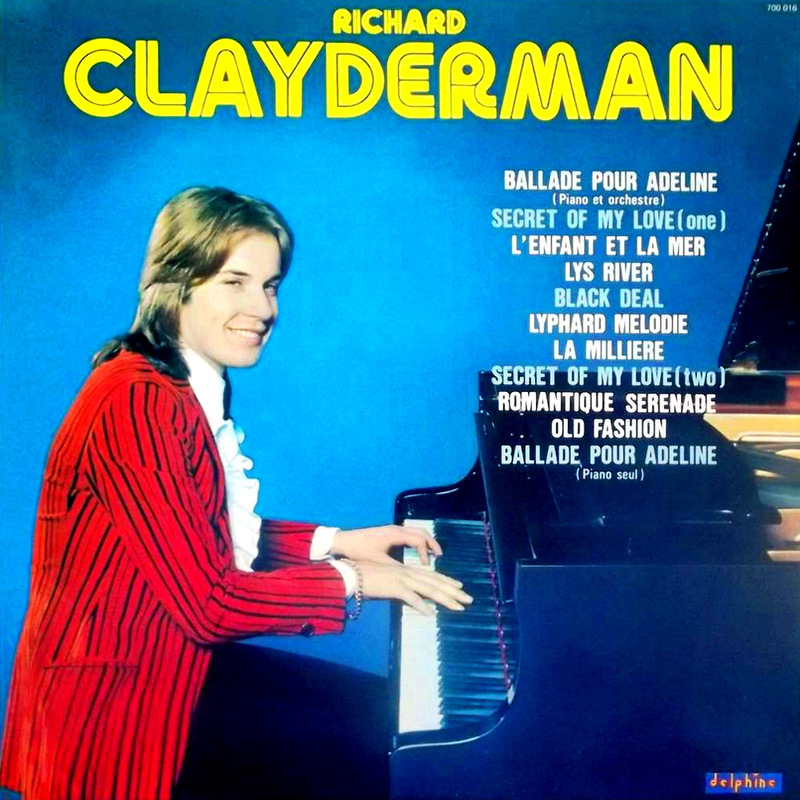 Richard Clayderman’s debut album features 11 titles composed by Paul de Senneville and Olivier Toussaint. The album is notable as a number of the titles have synthesised backing tracks including ‘Black Deal’ and ‘L’enfant et la mer’. ‘Lys River’ with it’s heavy brass backing contrasts with the conventional arrangements for (what are now classic titles) – ‘Lyphard melodie’ and ‘Ballade pour Adeline’.